Public transportation offers a valuable resource for many people. Whether they use mass transit systems out of necessity or for conservation purposes, these individuals rightfully expect these transportation methods to be properly maintained and operated for the safety of all passengers. However, when an accident does occur due to negligence, the injured parties have a right to pursue justice. The lawyers of Harris Lowry Manton LLP provide experienced legal assistance for victims of mass transit accidents and their families. We pursue justice from all responsible parties, including large government agencies. If you or a family member suffered injuries while using public transportation, our Atlanta public transportation injury lawyers are prepared to help you through the legal process. Bus accidents. Bus crashes can result from a variety of causes, such as driver error or negligent maintenance. When these incidents occur, passengers may face severe injuries. Our attorneys seek to hold all negligent parties accountable and routinely handle accidents involving school buses, charter buses, and public bus systems. Subway and light rail accidents. Derailments and collisions can prove particularly tragic, often with numerous victims. They may be caused by rail defects, problems with the train, or driver errors. When light rail accidents occur, our lawyers diligently investigate these tragedies to identify the cause and hold all responsible parties accountable. Taxi accidents. Collision involving taxicabs often have complicated insurance and liability issues. Our attorneys understand these complex cases and how to get injured clients the compensation they need and deserve. Airplane accidents. Aviation incidents, such as plane crashes or helicopter accidents, and other aviation-related problems can be caused by various factors involving defect or negligence. Successful claims for compensation require extensive investigations and superior trial techniques. We have the knowledge and experience to provide our clients with both of these valuable standards. When people use public transportation, they expect a safe ride, free from negligence or defect. Unfortunately, buses, subway and rail systems, and other forms of public or mass transit are not perfect. If an accident occurs, our knowledgeable Georgia public transportation accident lawyers can help. At HLM, our personal injury lawyers understand that every single case requires thorough investigation and preparation in order to recover the rightful compensation clients deserve. In order to obtain these desirable results, our firm works with leading medical experts, accident reconstruction experts, and investigators to build the strongest case possible. 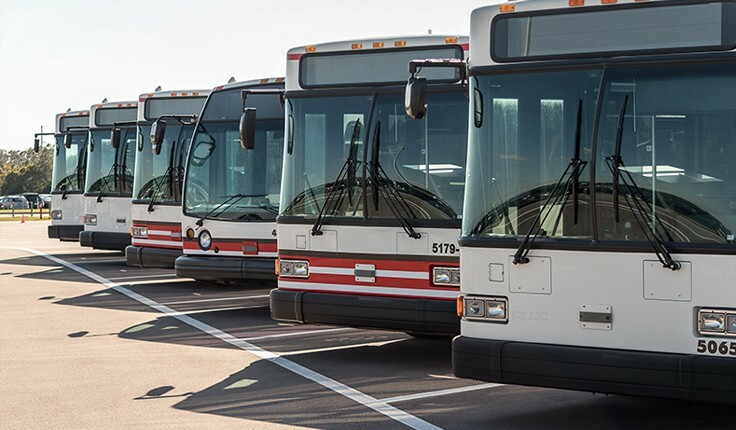 The efforts of our accomplished Atlanta public transportation injury attorneys may reveal negligence or defects that caused the mass transit accident or contributed to the seriousness of the resulting injuries. The Atlanta mass transit accident lawyers of HLM routinely secure high-value verdicts and settlements for our clients. Numerous attorneys confidently refer our services, which exemplifies our stellar reputation within the legal community. Trust our knowledge and experience to seek the compensation you deserve after a public transportation accident causes you or a loved one harm. Call our Atlanta office at 404-998-8847 or our Savannah office at 912-417-3774 to schedule a free consultation. You can also complete our contact form.